New Products | Tuesday Teaser: Yay for Gray! We’ve been adding new products at American Freight to help you show off your style in every room. Click here to see all of our new products. Today’s Tuesday Teaser highlights one of our fresh additions that is sure to make a comfortable focal piece in your living room. This two-piece sectional grey sofa is ready for relaxation and extremely comfortable. Able to be RAF (Right arm facing) or LAF (Left arm facing), you can place it in virtually any shape or size living room (measurements below). 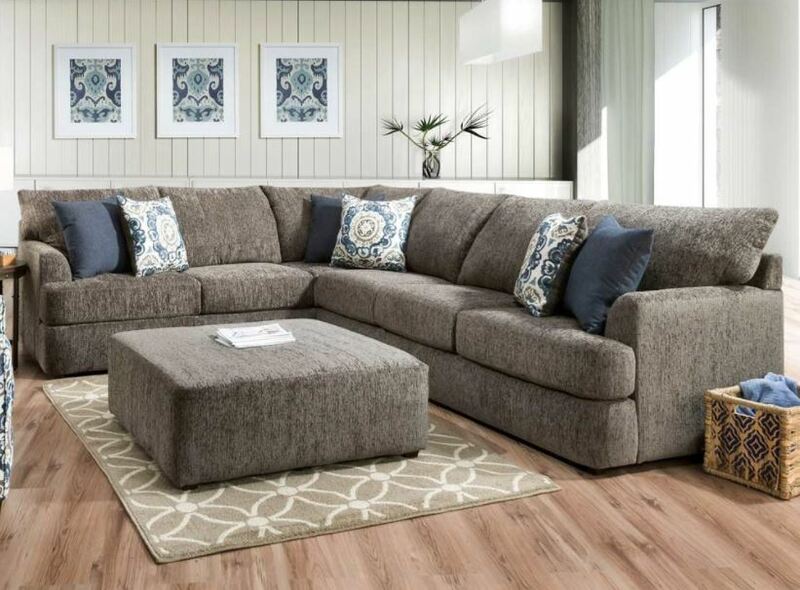 Out of all of our new products, this sectional stands out as versatile and timeless. Read on for clues to guess this gray sectional! Upholstered in soft, textured heather gray chenille. Think you can guess this 2 piece sectional? Comment below and let us know! Click here to go to the Tuesday Teaser product page. If you’re feeling the look and style of these new pieces, click here to see all of our new product additions at American Freight. Click here to find your local American Freight store to come touch, feel, and try out all these new items in person today! Sign up here to get a fun, weekly email with tips for your home. No credit? Learn how to take your furniture home today! Next PostWhen All is Said & Dunmore: We love this new dining set!